HiH Self-Help Group Training - Dreaming Big!! I recently attended a self-help group (SHG) training session organised by Hand in Hand (HiH). Before getting into the specifics, let me give you a little more insight into the training sessions provided by HiH. HiH is an NGO which provides a range of services to the poor and creates sustainable impact through community driven development programs. 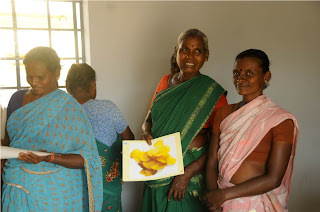 One such effort from HiH has been to offer microfinance loans to SHG’s to empower their lives and bring a positive change in their livelihoods. However, HiH believes that providing loans alone will not serve the purpose if the SHG members do not know how to utilise these loans effectively. 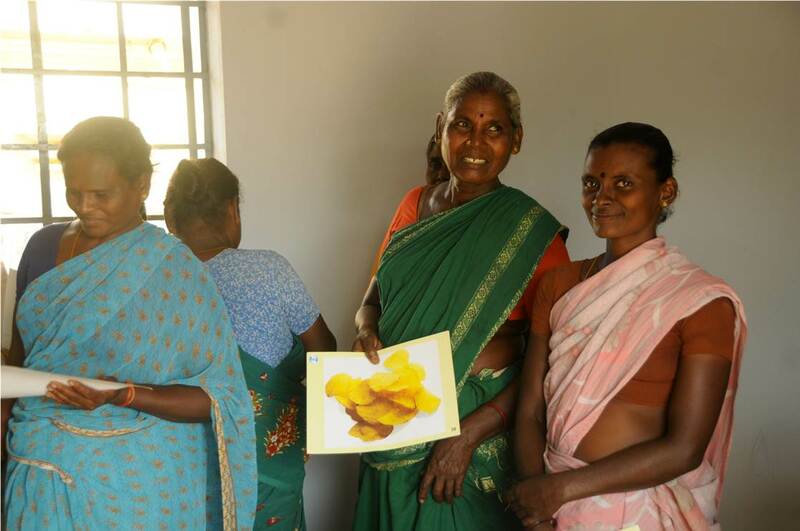 To bridge this gap, HiH provides extensive training to SHG’s in order to make them more capable to put these finances into good use. 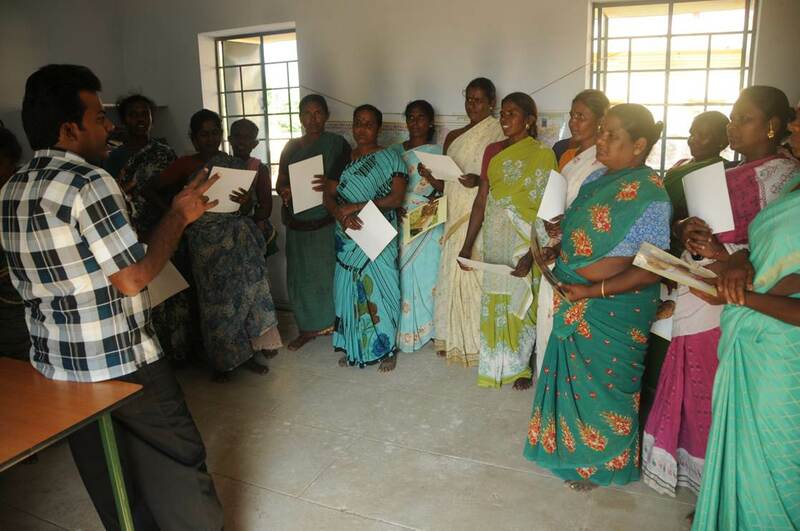 HiH has developed four module training sessions for its SHG members. Module 1 - This module focuses on the basic challenges of SHG membership and starts the mandatory savings period. It is administered over a 2-day period. Module 2- Focuses on motivation on enterprise development, Opportunity identification, Entrepreneurial competencies, Viability of the enterprise, financial analysis and Grameen loan. It is administered over a 2-day period. Module 3- Focuses on enterprise business training. It is administered over a 2-day period. Module 4- This module is effectively a repeat of Module 3, providing more intensive training on the same topic. This module is administered over a 2-day period. I attended the second module of training which I found rather fascinating. It was all about dreaming big. We assembled in a government owned library, which was an empty hall with some books lying around here and there. Nevertheless, it was after all being put into good use, as it was a common place for village meetings and SHG meetings. After the customary prayer, the HiH trainer asked the members to close their eyes for five minutes and dream of a life they wish would be theirs or dream something they would want to achieve in the next five years. The responses from these SHG members were very genuine and real. A 40 year old lady said that she wanted to have a grand wedding for her daughter, a young 20 something said she wanted to start a beauty parlour, a 50 year old lady said she wanted to renovate her house, and so on. This might sound amusing at first, but we must understand that women in these villages are so used to their mundane lives and restricted in their society that they probably do not even have the right to dream, let alone achieving their dream. Therefore, it was nice to see HiH starting from baby steps. HiH then explained to these groups as to how they could achieve these goals and I must confess it did bring a smile on their faces. 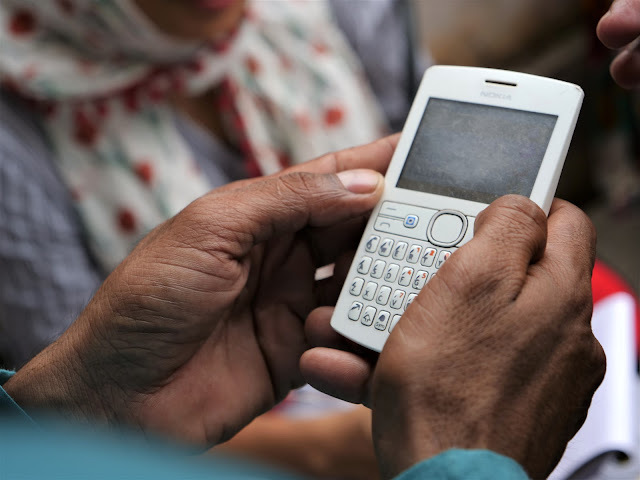 Improving income on a sustainable basis either requires a well-paying job or a profitable business. Since wage-employment is not really an option in these villages, SHG members are encouraged to take up entrepreneurship. However, choosing a business is a difficult task, as there are various factors to consider (resources, opportunity cost, manpower, etc.). Therefore, the next part of the session was to help the SHG members decide on a business they wished to start. This they did by playing a game where one half of the members were given pictures of business inputs (for example- vegetable seeds, cattle stock, weaving machine, etc.) and other half were given pictures of business outputs (for example- vegetable cultivation, dairy farming, mattress and door mat, etc.) Members from both these two groups were asked to match the inputs with output and were asked if they were interested in that particular business or if they wished to swap another input-output combination from other members. This was an interesting way of deciding which business they were more inclined towards. As an observer of the training, I felt that HiH was able to convey important messages in an extremely simple fashion. Needless to say, deciding on the type of business is just the first step of an entrepreneurial journey. HiH recognizes this and covers the other factors in their subsequent training modules. However, this training session proved to be a wonderful start in encouraging the rural women to dream big and pave a path of success and prosperity. Financial services e-learning program affluently mark the trained ethical commission and provides some training and Deficient financial disclosure forms which still on Ethics Commission website. Ethics Commission should have caught and it will happen from the financial resources.